- If you type in "scott" or "scott murphy", Scott Murphy will ask you to drop him a line at Sierra On-Line and tell him if you liked the game. - Walk behind Droids-B-Us and type "take leak". 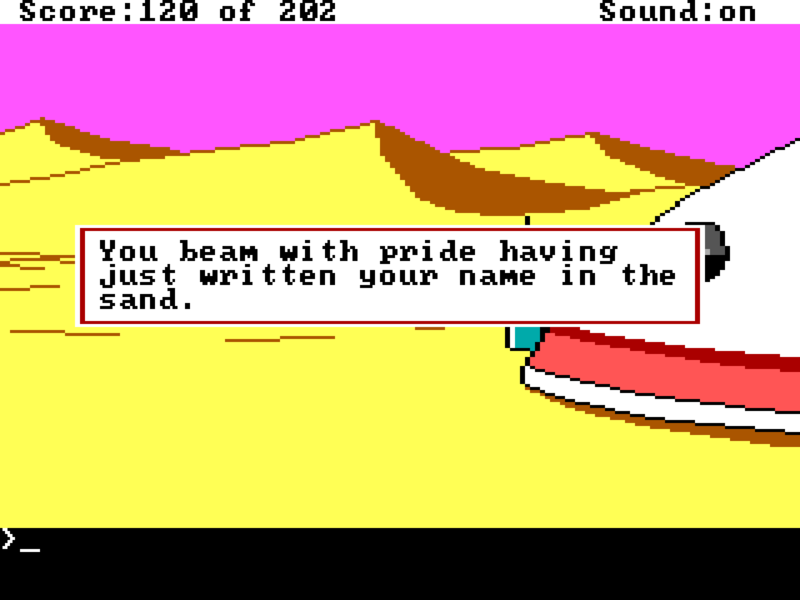 You get one of three messages ("You beam with pride having just written your name in the sand. ", "You leave a moist arch on the building's side." or "Drat! You could have done without that sudden gust of wind."). You can also find 5 hidden buckazoids. - The Blues Brothers (playing "Can't Turn You Loose") and ZZ-top (playing "Sharp Dressed Man" from their 1983 album "Eliminator") appear in the bar at Ulence Flats. In the VGA remake also Madonna appears. 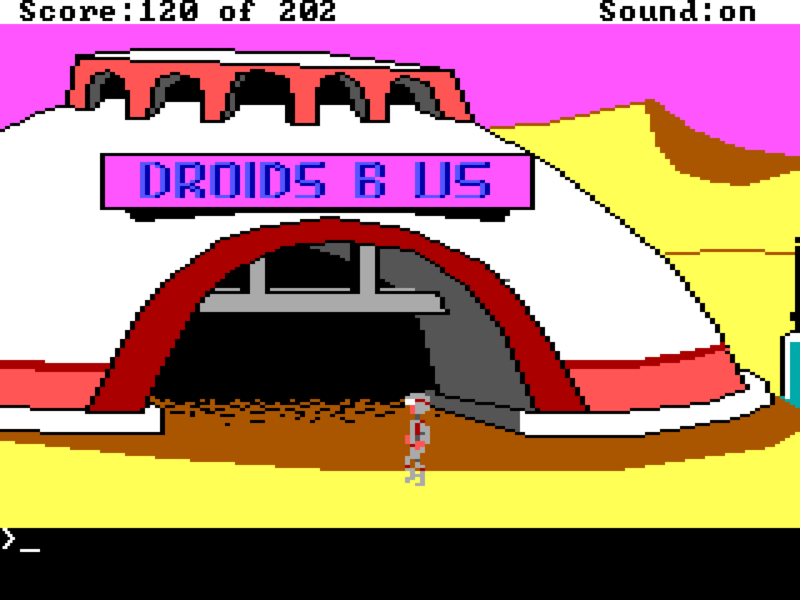 - Droids-B-Us is a parody of Toys-R-Us, a real corporation which sued Sierra for the use of their name. Sierra won the lawsuit, but had to change the original Droids-R-Us to Droids-B-Us. 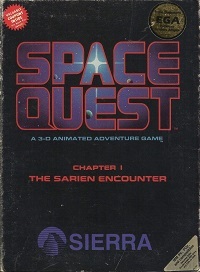 The name was also changed on the coupon inside the game box in later versions. - When starting Space Quest 1, you are asked to enter your name. If you don't enter a name your name will automatically be "Roger Wilco". 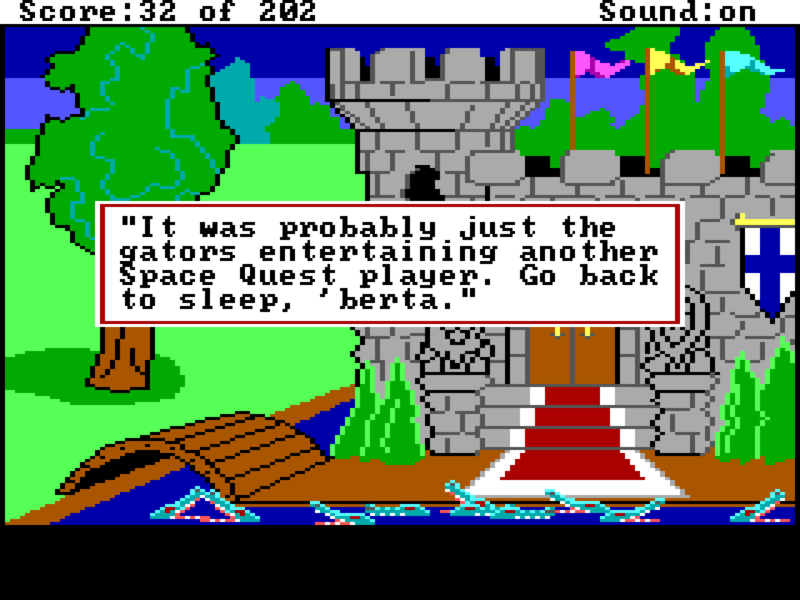 Many people think this name was introduced in Space Quest 3, but that is obviously not true. Walking in the alley at the left of Lefty's bar will kill Larry. Luckily for him, the Sierra crew is working around the clock to create new Larries. 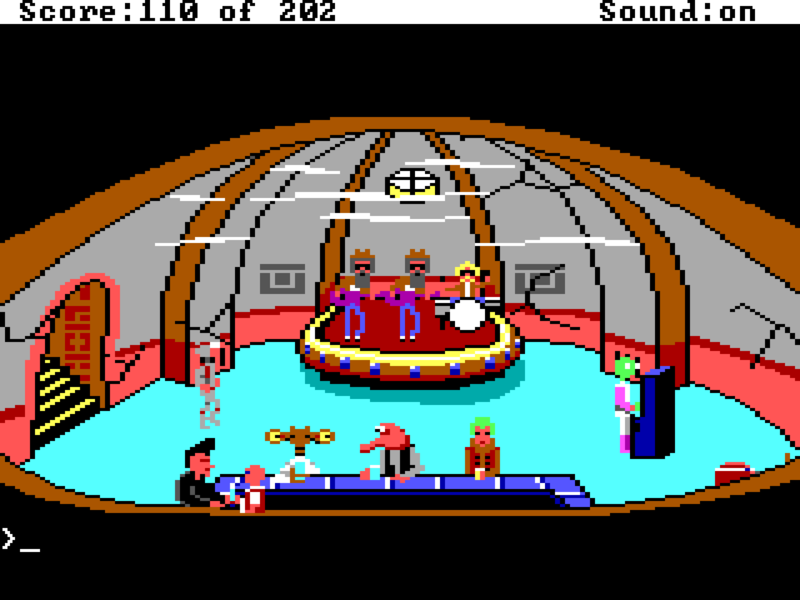 There is also a spare Graham from King's Quest 1, along with the dragon, and the droid Roger Wilco purchases in Space Quest 1. Save before trying.